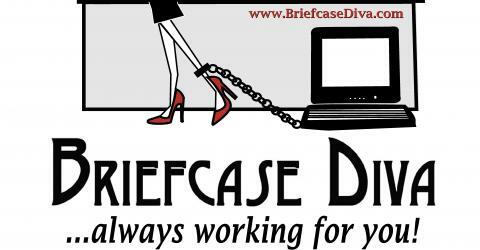 February | 2009 | BriefcaseDiva...Always Working for You! Today on Diva Talk Radio, we will feature several VA’s (Virtual Assistants) and Women Business Owners who will share stories, answer questions, and give tips on how to successfully outsource. Our guests are Tammy Munson of http://NewMediaVA.com; Shannon Smith of http://AppetiteForDesign.com; and TishiaLee of http://TishiaSavesTime.com. Plan to join us as we chat with these gals. Until next time…wear your heels well & I’ll see YOU at the show! Heading into the studio for some podcasting. Some exciting things are happening here! Our Featured Guest on Diva Talk Radio today, Tammy Munson, has just announced that she will be offering a special discount to all of our Diva Talk Radio listeners. What’s the discount you may ask? It’s a secret! So, join us on Diva Talk Radio as Tammy shares her passions in business, the ups and downs she’s gone through and how she overcame typical obstacles that come with business ownership. I guarantee that you will be encouraged and uplifted by this truly outstanding woman! Plus, you get a discount too! Our interactive chat room will be open 10 minutes before airing the show, so log in early as we are expecting a huge crowd! Recently, I started a new segment called A Truly Outstanding Woman. The purpose of this segment is to spotlight women who are making a difference in those around them. These are women who are successful entrepreneurs and work long hours, yet they find the time to encourage and help others. So to me, that’s A Truly Outstanding Woman! This week on Diva Talk Radio, I am thrilled to have Tammy Munson as our Featured Guest. Tammy is by far A Truly Outstanding Woman. Her dedication as a military wife is motivated by her passion for other military spouses and families. Because of this dedication, Tammy has created a site to help military spouses thrive and keep their own identity while living the military life. Along with said site, Tammy blogs about her military life at Army Household6 as well as several other military spouse-focused blogs as an contributing blogger. In addition to her gig as a military wife, Tammy is a mom of 2 daughters, runs a profitable business, NewMediaVA, is the founder of Business and Learning, she serves as the Colorado Installation Ambassador for Military.com, Technical Coordinator for ParentsZone.org, founder and coordinator for HelpAServiceMemberOut.org and Military channel Editor for BlissfullyDomestic.com. Whew! This woman wears me out with all of her involvement. As you can see, Tammy certainly fits the label as A Truly Outstanding Woman! So, join us on Diva Talk Radio as Tammy shares her passions in business, the ups and downs she’s gone through and how she overcame typical obstacles that come with business ownership. I guarantee that you will be encouraged and uplifted by this truly outstanding woman! P.S. Be sure to tweet about this show on Twitter! (@krclaypool, @reginasmola, and @tammymunson).